Whenever he preaches, NCWA board member and area pastor Michael Duncan receives immediate feedback. “I can watch the effect of my words in the eyes of those who are listening—and in the yawns of those who are not,” he says. As with many Christian authors, Michael tries to console himself with the idea that it’s not about the numbers. We truly do write to honor and obey God. But how can any of us know that our work is reaching anyone? There is one singular gauge: sales. “Every book sale, to me, is like having another person come into the worship center—filling up the sanctuary with hungry hearts,” Michael says. 7 Keys to Becoming a Successful Indie Author – Learn from someone who’s been there what it takes to be a successful indie author; investing in your career; selecting great covers; tips on selling books, building your platform, and growing your readership; as well as how to diversify for added benefit. At the Renewal, Michael will also serve as worship leader in the general sessions. To learn the basics of publishing your work independently and/or to request an appointment with one of our seven editorial reps at this year’s conference, sign up for the Renewal today! Are you a pre-published writer with the dream of seeing your name in print? Are you a multi-published author with out-of-print books? Or are you a traditionally published author who wants to write in a genre that doesn’t work for your publisher? Award-winning author Miralee Ferrell founded Mountain Brook Ink in 2014 to fill a need in the publishing industry. “We are asking the Lord to bring the authors and manuscripts that we can believe in and bless,” she says. While defined as a small press, Mountain Brook Ink is not a self-publishing company. “There is no charge for authors to publish with us, other than taking care of their edit,” Miralee explains. The publisher pays for the proofreading, cover, formatting, uploading, and printing and will help authors with promotion and publicity. Authors can even purchase their print copies at cost. Traditionally published authors can also work with Mountain Brook Ink to release their out-of-print books in e-book and paperback formats, thus realizing a higher royalty rate than they originally received. Miralee accepts fiction in two general areas. The first is inspirational fiction in almost any genre (except children’s fiction). The second is general-market fiction. Although by definition it doesn’t have a faith thread, it must nevertheless be clean and contain no sexual content or offensive language. Learn more from Mountain Brook Ink’s submission guidelines. 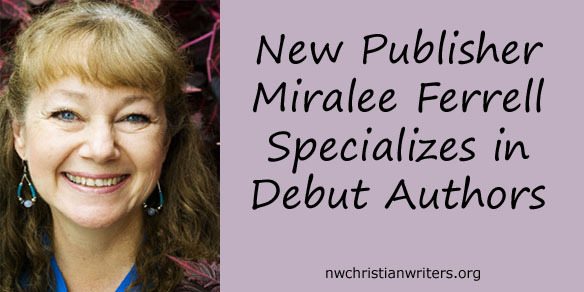 As a representative for Mountain Brook Ink, Miralee Ferrell will be available to meet with authors at the Northwest Christian Writers Renewal. 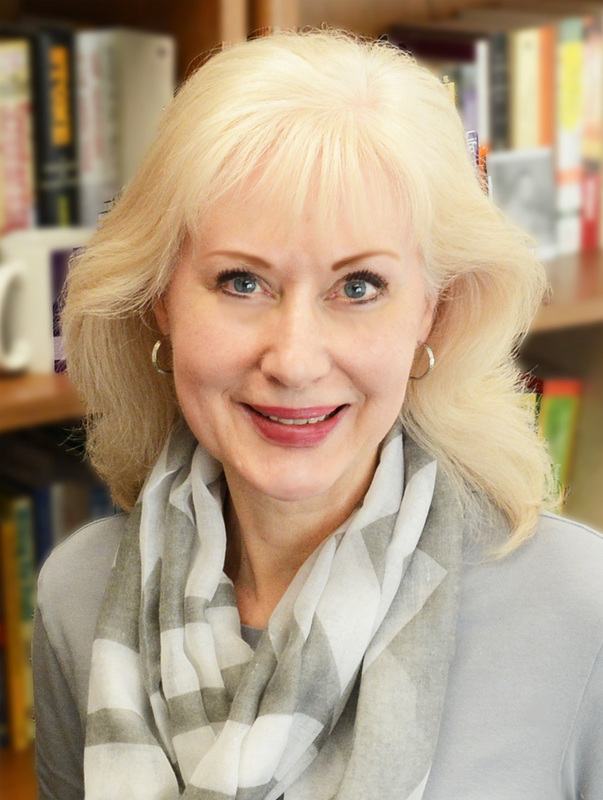 Because she is a recent addition to our slate of editors, she is handling her own appointment scheduling, and instead of meeting with conferees in group appointments, she will schedule 20-minute, one-on-one appointments for both days of the conference. After studying what she’s interested in, you may contact Miralee through her website to set up an appointment to pitch your novel in the genres listed above. Instead of sending a proposal at that point, simply state in the comment section that you’re coming to the conference and would like to make an appointment with her. If you haven’t yet registered for the Renewal, there’s still time. Sign up today! This is the only industry where you can just say you’re a writer and be one. 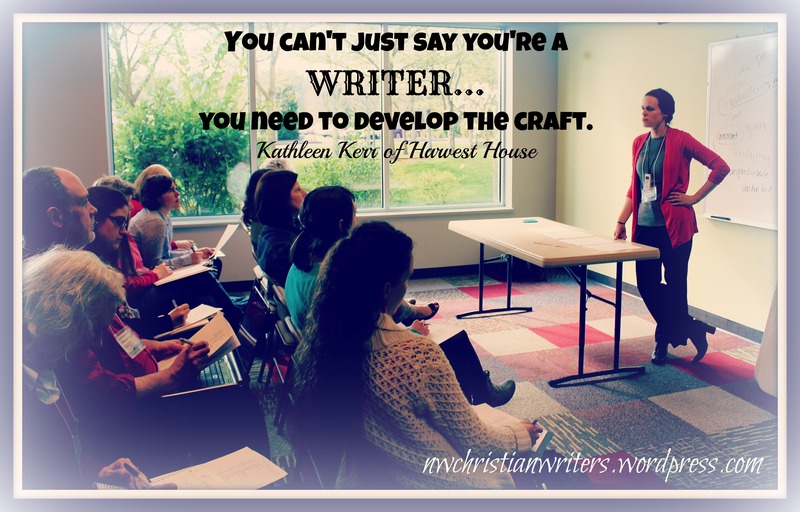 Kathleen’s point is right on—saying you’re a writer needs to be followed up with developing the craft. You wouldn’t want to roll your kid into brain surgery and find out that their neurosurgeon had just announced they were a neurosurgeon, but had no training to back it up. And frankly, you don’t want to read something written by a writer who hasn’t spent any time developing their craft. Saying you’re a writer needs to be followed up with developing the craft. So how do you develop the craft? Over 150 of us were at that conference to sit in on workshops taught by Kathleen and other industry professionals. In between events like this many of us participate in critique groups and spend hours in practice. Personally, I also like to read or listen to the audio version of books on the craft to get some focused guidance. And I like to ask professionals for their recommendations on books. When I asked our keynote speaker, Davis Bunn, for his recommendations I thought he might give us a couple of good ideas. But he provided three pages of fantastic resources, including an on-line master class. Davis is a great writer and teacher so I was very interested to get his perspective and am glad to share them with you. Following is his annotated reading list of books on the craft. Are any of these favorites of yours? What would you add to the list? Use the comments function to answer those questions. Everyone who posts an answer by next Friday, April 25 will be entered into a drawing for a Davis Bunn novel and a half pound of Starbucks Coffee. In 1993, The Writer’s Journey became one of the most popular books on writing of the last 50 years, shaking up Hollywood, and becoming a best seller among writers everywhere. This new edition will reawaken established writers and inspire a new generation with fresh insights on creating great stories. An indispensable guide to the inner workings of stories, to the ancient and deep-seated patterns of emotion that speak to us through the symbolic language of myth. It applies the classic principles of Joseph Campbell’s, “The Hero’s Journey” to modern storytelling. Christopher Vogler, one of Hollywood’s most renowned story consultants and teachers, expands his vision to show how storytelling evolved from sacred rituals and how its inexhaustible powers can be adapted to the needs of modern storytellers. “The Writer’s Journey” is now the most widely used book in the movie, TV, publishing, and computer gaming industries. Best Anne Lamott gives witty and wise advice on the process of writing, while offering an entertaining and inspiring take on the difficult parts of the writing life. She encourages writers to take a more non-judgmental attitude towards their own writing, particularly during the first-draft stage. Covering everything from plot to professional jealousy, Lamott’s down-to-earth approach is both comforting and encouraging. “The best reading experiences”, says Sol Stein, “defy interruption”. With Stein’s assistance, you can grab your reader on page one and not let go until “The End”. Stein–author of nine novels (including the best-selling The Magician) and editor to James Baldwin, W H Auden, and Lionel Trilling–offers “usable solutions” for any writing problem you might encounter. He is authoritative, commanding, and neither cheerleader nor naysayer. Instead, he rails against mediocrity and demands that you expunge it from your work. Perhaps the concept of scrutinising every modifier, every metaphor, every character trait sounds like drudgery. But with Stein’s lively guidance, it is a pleasure. Stein recommends that you brew conflict in your prose by giving your characters different “scripts”. He challenges you, in an exercise concerning voice, to write the sentence you want the world to remember you by. He uses an excerpt from E L Doctorow to demonstrate poorly written monologue and a series of Taster’s Choice commercials as an example of dialogue that works. Stein’s bottom line is that good writing must be suspenseful. Your job, says Stein, “is to give readers stress, strain, and pressure. The fact is that readers who hate those things in life love them in fiction”. McKee’s work is genuinely inspiring, particularly in the audio version, which he reads himself. It’s to the point. And – although intended primarily for screen writers – it’s invaluable for anyone who thinks they have a story in them. Short and snappy as it is, Stephen King’s On Writing really contains two books: a fondly sardonic autobiography and a tough-love lesson for aspiring novelists. The memoir is terrific stuff, a vivid description of how a writer grew out of a misbehaving kid. It’s a ripping yarn that casts a sharp light on his fiction. King gives us lots of revelations about his life and work. The kidnapper character in Misery, the mind-possessing monsters in The Tommyknockers, and the haunting of the blocked writer in The Shining symbolized his cocaine and booze addiction (overcome thanks to his wife’s intervention, which he describes). “There’s one novel, Cujo, that I barely remember writing.” King also evokes his college days and his recovery from the van crash that nearly killed him, but the focus is always on what it all means to the craft. 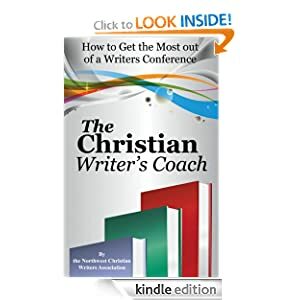 He gives you a whole writer’s “tool kit”: a reading list, writing assignments, a corrected story, and nuts-and-bolts advice on dollars and cents, plot and character, the basic building block of the paragraph, and literary models. He shows what you can learn from H.P. Lovecraft’s arcane vocabulary, Hemingway’s leanness, Grisham’s authenticity, Richard Dooling’s artful obscenity, Jonathan Kellerman’s sentence fragments. Questions: Are any of these books on the craft favorites of yours? What would you add to the list? Use the comments function to answer those questions. Everyone who posts an answer by next Friday, April 25 will be entered into a drawing for a Davis Bunn novel and a half pound of Starbucks Coffee. You can find Davis Bunn’s books in the NCWA on-line bookstore. Many of the books on the craft he mentioned are also in the bookstore. A portion of sales from the NCWA bookstore helps to fund our organizations activities. Leave a blog comment to enter a drawing for a Davis Bunn novel and Starbucks coffee. 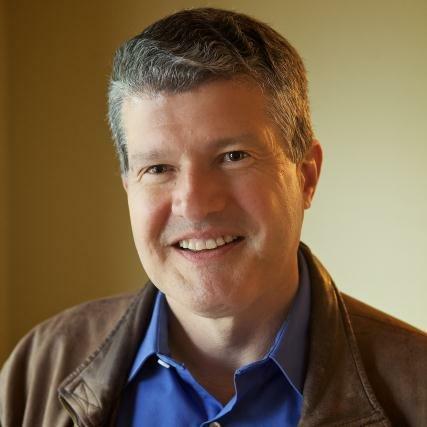 This video interview with Nick Harrison, an Editor at Harvest House Publishing, was filmed at the Northwest Christian Writers Renewal Conference in May of 2010. I attended a workshop taught by Nick and he had several interesting points that I thought were worthy of further discussion. Watch the interview here to hear Nick’s thoughts on “the forty percent” of effort that an author needs to dedicate beyond the writing and the concept of a five year plan to help you set realistic expections. Dennis Brooke writes about Almost True Stories of Life at www.dennisbrooke.wordpress.com. He’s been a member of NCWA for three years and currently serves as Vice-President and Webmaster.